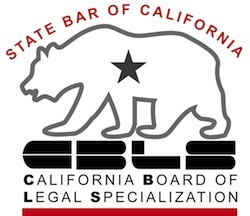 California foreclosure law now permits a sale date to be set before the reinstatement period has run, under a new provision to the Civil Code. An amendment effective January 1, 2011 allows the trustee under the deed of trust to record the notice of sale up to five days before the 90 day cure period has run. The total elapsed time between the recorded notice of default and the actual foreclosure sale on the courthouse steps has not changed. Here is the change in Civil Code 2924(a)(4). of the notice of default. In the real world, I doubt that foreclosures will happen any quicker than they did before this change. I do have to wonder where the legislative support came from to make the lives of foreclosing creditors easier. Gerri Detweiler kicks off a six part series on dealing with a home worth less than you owe at Credit.com. Check her out this week for another point of view on this oh-too-common problem. I’m fond of her piece especially since she includes my lament that I spend my days talking people out of houses. My rallying cry, so often, is “live there payment free until the sale.” My input on underwater houses and the bankruptcy option is slated to be the last article in the series. Can you afford to cram down a mortgage when cram down is permitted? Mortgages on a debtor’s home are protected from cram down in Chapter 13 by 1322(b)(2). Mortgages on any other kind of real estate can be reduced to the value at filing of the collateral securing the debt as of the date of the filing of the case. The practical dilemma posed by cramming down partially secured mortgage liens in Chapter 13 for us in the 9th Circuit has been the decision in Enewally. The debtor’s plan sought to reamortize the reduced claim over the remaining loan term. Enewally held that the reduced secured claim had to be paid in full during the life of the plan. With the constriction of mortgage lending that has put refinancing out of reach and the BAPCPA provisions that secured claims be paid in equal installments, the real world utility of the right to strip down a lien is highly restricted. So, I was tickled to see the court in Elibo, 447 B.R. 359 ( S.D. FL 2011) , hold that the debtor could reduce the debt to the current value of the collateral while maintaining the term of the loan. Elibo is a trial court opinion outside of the 9th Circuit, so it has no immediate answer to the issue here in the 9th, but it is a beginning on what I hope is a judicial dialogue about cram down and long term debts. It’s bad enough when the client loses their home to foreclosure, but it’s a double whammy when the tax bill arrives for money they never saw. Scope out the tax traps in the world of indebted clients at a 2 hour workshop for lawyers and tax professionals April 9 at Lincoln Law School. Should I try for a short sale? What does this 1099 mean? Are there tax consequences of a loan modification? Bill Purdy, tax professor and real estate law practitioner, will discuss recourse and non recourse debt and the tax consequences of foreclosure. The workshop runs 2 hours and MCLE credit is available. Advance sign up is required. Effective January 1, 2011, a lender who approves a short sale of California residential property may not look to the seller for the shortfall. The addition to the California Code of Civil Procedure at Section 580(e) applies only to properties of one to four units and has an exception if the seller commits waste or fraud. This closes a terrible pitfall in the short sale process that has distressed me for a long time. Borrowers with properties worth less than the debts secured by the property have pushed to sell the property rather than let the property be foreclosed. The “reasoning” (often, in my mind,fallacious) is that a short sale is less harmful to the borrower’s credit than foreclosure, a view chorused by realtors who see a commission in the deal for themselves. My biggest objection to the short sale is that often the realtor has not explored with the borrower whether the lender is expected to forgive the debt not satisfied by the sale, or whether the lender expects the seller to sign a new note for the shortfall. This new legislation puts an end to that choice: approval of a short sale is deemed to be a waiver of any right to collect the balance of the debt not paid from escrow. Prohibiting collection of the shortfall brings with it another issue realtors often don’t point out to sellers: the amount forgiven by the lender will be reported to the IRS as income! Canceled debt is included in the seller’s income, just as though the seller had received that amount in cash, unless the seller is insolvent according to the IRS’s calculation, or the debt was earlier discharged in bankruptcy. This is of necessity a summary of a complex issue and if this fact pattern applies to you, get thee to a tax advisor before concluding a short sale. Sellers at short sales will now have certainty that they won’t be liable for the unpaid debt on the first mortgage. They will have to address the tax consequences of the sale and the rights of any holder of junior liens on the property sold. Or maybe this is just a continuing, disappointed sigh that this group, who tries to build a profession around selling houses, is itself oversold. Latest example arose where a homeowner was referred to me by his accountant, concerned about a pending short sale of the client’s home. By our rough calculations, the short sale of the house would trigger about a quarter of a million dollars in forgiveness of debt income. After discussing it with the client, we called his realtor who had negotiated this sale without discussing a quarter of a million dollars in phantom income to the client hidden in the deal. When I explained my concern, the realtor’s come back addressed the capital gains tax exclusion for homeowners! He apparently knew nothing about the tax consequences of a short sale, especially one that didn’t qualify for the special provisions recently enacted. Worse he seemed indifferent about the adverse impact on his client. Seems to me the essence of a profession is an institutionalized concern for the client/patient that trumps the self interest of the professional. I don’t for a moment argue that realtors ought to be giving tax advice; I do argue that they ought to be able to spot common tax issues and direct the client to an expert. Here, the realtor was clueless and exposed the client to being blind sided by a huge tax obligation. A professional has to do better. Susanne Robicsek’s post on the futility of keeping a home through bankruptcy brought to mind Professor Brent White’s paper on the use by government and financial counselors of fear and shame to keep people paying on mortgages on underwater homes. White cites a litany of messages from apparently credible sources who chant that a foreclosure will scar your life forever onwards. Further, these messages suggest that the law and morality require that you pay for something that no longer has value or no longer makes economic sense. Somehow, I didn’t hear that electing to default on a mortgage was immoral when a couple of huge real estate investment companies walked from projects in New York. Is it immoral only for individuals, but just good business for corporations? I see my job as a bankruptcy professional to ask the client to consider walking away. Is the house genuinely affordable now? Will the loan reset making it unaffordable in the future? How much would the housing market have to appreciate just to be able to sell it for what you owe? Do you want to take a further credit hit down the road when you need to leave this house? Given the breadth of the current financial morass, I have doubts that what we take as gospel about the future availability of credit to those filing bankruptcy will be the rule in the future. I doubt that credit availability will return to the norms of the past two decades anytime soon. Who knows what the rules will be in the future? I have to ask clients: just what kind of financial pain are you prepared to endure in the expectation that the old rules will prevail? The good folks at the National Consumer Law Center have put together a page of links to various programs and procedures for troubled home loans. My colleague John Mlnarik has begun a discussion of the Obama Treasury programs announced earlier in March on www.norcalmortgagemods.com. Now, we need the Senate to move on S. 61 and judicial mortgage modification. Speak up at www.nacba.org/TellCongress. It was a good day at my desk, if one has to work on Saturdays. I gave notice that one client was rescinding a $180,000 mortgage for Truth in Lending violations. I found three clients whose second deeds of trust can be eliminated as liens on homes because they are completely underwater. I sent out three Qualified Written Requests under RESPA to lenders whom I suspect have played games with the servicing on my client’s mortgages. My conclusion about the mortgage meltdown is that there is not one universal approach to getting clients some breathing room on their mortgage debt, but there are a number of approaches that can lessen the pain borrowers are feeling, and raise the odds these people can keep their homes.